My goal is to publish one science experiment per day between December 1st – 24th. Feel free to try them out yourself. 🙂 Oh, and let me know how it went, in the comments field below. I would really love to hear how the experiment was for you and what your kids thought of it. I have folded twenty-four paper boxes myself. There will be another post about how to fold your own paper and which I will link to later. All paper boxes will have a date written on them, so my intention is that my kids will open one each day from December 1st – 24th. Every paper box will contain one new experiment for that day. I just want to mention that I got the inspiration for all the experiments from Sara Magnusson at Experimentfabriken, Sweden. Thanks a lot, Sara! Here I will add links to the experiments me and my kids have done each day. 12 December: What is thermoplastic? So, what do my children think about my kids Christmas Calendar? Right now, they are asking a lot about the boxes since I keep them visible on the kitchen table. My kids don’t know what I have prepared for them. This is so much fun to see their curiosity and the discussions they have about what the boxes may contain. I hope they won’t be disappointed, at least I don’t think they will be. I will add comments from my kids about these experiments here at the end of the year. I think the good part is that when creating your kids Chrismas Calendar yourself is that you are in charge of both content and cost. I will add my conclusion about these experiments at the end of the year. Where to Buy the products in this kids Christmas Calendar? All products used in the experiments are mainly found in any normal grocery store. Of course, since I live in Sweden, you may have to do a Google search to find a similar product depending on where in the world you are. Good luck with the experiments! If you have any thoughts about this kids Christmas Calendar, feel free to leave a comment below! I would really love to read about it. This is awesome article Marika. I think that this is great chance for both parents and kids to work together and have some fun. My sister’s boy have 10 years and I hope that this would be funny for him and it is a good opportunity to develop more intelligence on kids. Hey Marika, I liked your article. Kids calendars is a very compelling and great project, its great that you have a project for your kids. I’m a father myself and I’m still trying to get my 4 year old son to focus on something constructive besides his toys and tablet. Also, making time to do the experiments can really be time consuming but I can also imagine fun as well. Great read, great job! Web page and the website are attractive. The Niche appears unique and around the holidays it could be a real seller. However, it was slightly confusing as to who was the messages intended audience. If it was to the author’s peers it was ok. However, if it was to the average parent the language may be a little too scientific and intellectual. Thank you for the feedback on my post. I hope I don’t scare off any parents with a too scientific language. I will really try to keep it simple. You don’t need to know anything about science to perform the experiments. What a cute concept! It’s like an advent calendar but instead of chocolate, the kids get knowledge! I’ve never seen such an interesting, creative way to introduce daily learning to kids. My girlfriend is a preschool teacher and I think that this could be an amazing way to engage the kids leading up to the holidays. Really great post, thank you! This is such a great idea for kids! It is so educational too, especially when most kids are worrying about getting, getting, getting, your using this time to educate! Seriously amazing idea, thanks for the tip! Thanks for your comment Danielle! I agree, it is time well spent. I think we all, both me and my kids, have a blast when we do the experiments. Thank you very much for your fantastic website. It is amazing that you show people where to start and what steps to make towards their dream-like child education. I hope more people will know about your website and follow your guidance. 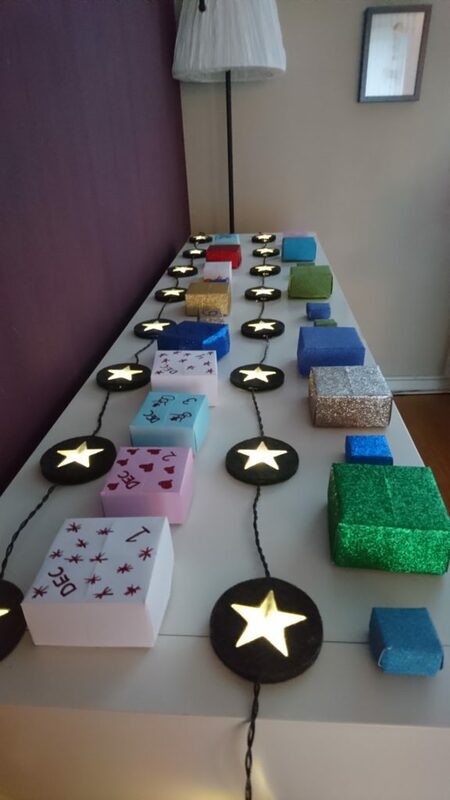 Absolutely love this, we are always looking for fun little Christmas activities for the kids, and different projects to encourage learning, this combines the two perfectly. This gets them off their ipads and phones and exercises their brains and imaginations all while having fun. Thank you for your comment! Yes, the experiments are fun for both kids and us parents as well. This is such a great idea for developing the thinking abilities of kids from a young. It’s such an interesting topic and I hope it gets more traffic. Thank you for your comment! Yes, I hope I can inspire other parents to do these small science experiments with their children. Thank you for your comment! No, don’t be shamed, it is possible to have both. 😉 My kids love chocolate as well, so they have one chocolate calendar too.